Returning to Sudbeat a full year after the success of his White Dragon EP is hometown hero, Mariano Mellino with another incredible three track selection. Influenced by everyone from Sasha to Tom Hades, Mariano's love of all things electronic is easy to see in his effortlessly talented work. Signed to many high profile labels has allowed him to travel the world preaching the gospel of House music to an ever-growing legion of fans including those, like Hernan Cattaneo, he once only knew from afar. 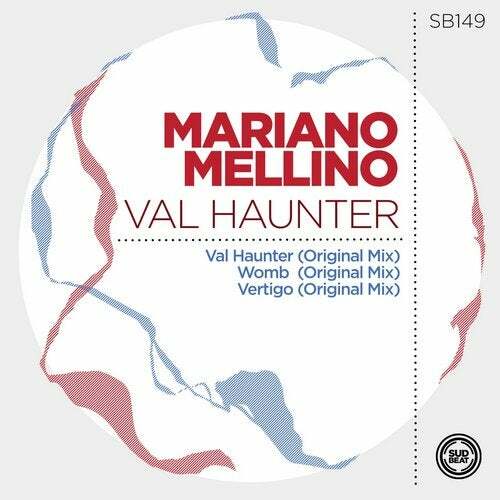 Opening with 'Val Hunter', we quickly delve into the silky smooth world of Mellino at his creative peak. Delicate melodies ride atop a sparse tribal beat while echoed sonics shoot from the sides across us. Building slowing, the energy rise adds powerful tension, broken only by the ambience of the break. Next up, 'Womb' wraps you in a blanket of melancholy rage and holds on tight. Deeper, with a rubbery bass at its core, it shows a reflective side to Mariano's impressive arsenal of beats. Finally, 'Vertigo' rounds off the trio taking us of a bumpy ride to the heart of Mellino's sound. Muscular and hypnotic.